It is time for Glues, Brews and Goos! From our stockpile of hundreds of recipes and formulas, we have chosen our top favorite chemistry activities. 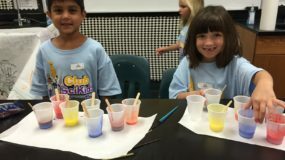 Campers will love digging into and examining the results of these crazy chemical concoctions! 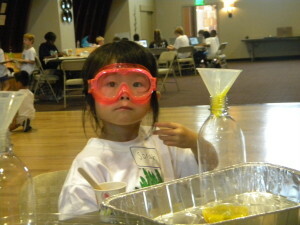 Sample Projects: Blob Explosions, Funny Putty, Magic Bubble Paint, Make your own Chewing Gum. 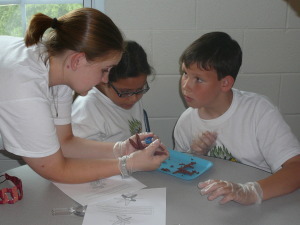 In addition: Campers will create several other wacky, wild and crazy concoctions! Our Jr. Chemists will realize the importance of measurement and sequencing as they use a taco sauce creation to clean pennies and investigate candy chromatography.